As the mountains echo with Camp Timberlake’s morning reveille played by our very own Clark D. we start another day in the always gorgeous Black Mountain. This morning happened to be an extra meaningful morning for those who were just initiated the day before. These young men have officially been initiated as they wake up this morning with paint still on their faces. Yes, they must sleep in their paint! For you are not fully initiated members until the colors go from your skin, into your blood, and into your very soul! As we make our way from breakfast to the morning yell and up across the lake to chapel, we roll in our patent pending, applause-O-meter to find out which one of Timberlake’s newly initiated will be crowned with glorious title of “Ugliest Camper” (camper with the most paint remaining on their faces). As the rest of the camp is screaming their hearts our for their believed to be ugliest camper, the young man from across the pond, Henri Francois-Poncet was finally crowned victorious after astonishingly breaking our applause-O-meter! In chapel, Director John Menendez delivered a powerful message about the never-ending comfort of God, our father. This message is extremely important for everyone to hear on the first day of activities as kids will be meeting new friends though growth and adventure that they may not have experienced before. Today will be a day where campers will be challenged grow and succeed. The camp returns to their cabins to briefly clean their cabins in hopes of winning the golden plunger. They are also given their daily schedules where they will participate in four different activities every day. Yes, we’re only a few hours into camp and a Gold Bar has been awarded in archery! Possibly setting a record for fastest Gold Bar earned in a session, Brian S. achieved his gold in Archery! Joey W. did a great job leading his swimming relay team to victory showing great form in the butterfly. Dash V. and Jack D. both excelled on the climbing boulder today. Even with the scorching heat they fought through adversity and were both able to climb the “vise grip” route on the boulder. 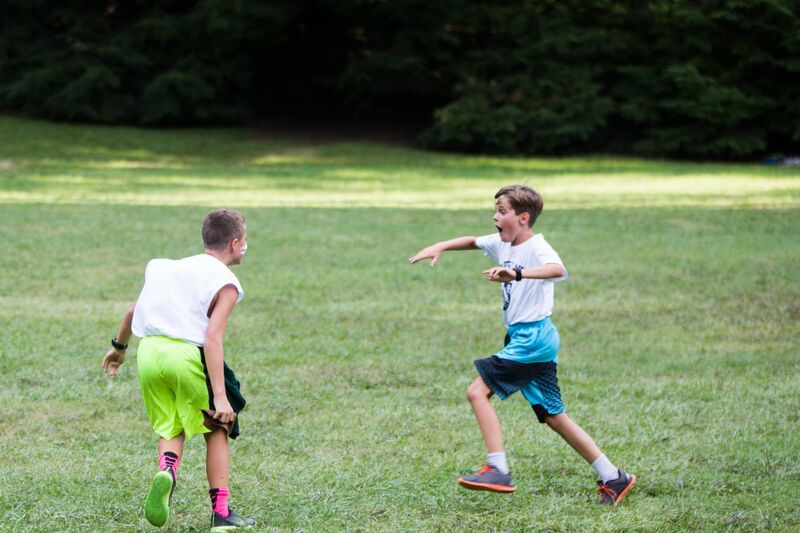 Before our evening activities of capture the flag and ultimate basketball begins, the tribes split up and elected their leaders for Chief, Medicine Man, and two lower cabin Lookouts. Lookouts: Jack G., Will G.
Lookouts: Andres D., Charlie W.
These young men, especially the Chiefs, have an enormous responsibility to gather and organize their tribes every night for the evening activity that the tribes compete in. As the day comes to an end and the sunset glistens over the elegant Lake Doris, we remember how thankful we are to experience and express refinement every day as we honor Jesus.